I have come across Japanese and Chinese artworks and am fascinated by their technique and style. I picked up a woodblock print by #HokusaiKatsushika. I believe it to believe a fairly modern reprint on quite rough textured paper. It is titled #IntheMountainsofTotomiProvince and comes from Hokusai’s most famous set of block prints entitled ‘Thirty-six Views of Mount Fuji’. Hokusai lived from 1760 to 1849. Certainly, this set of 36 prints involving Mount Fuji brought to Hokusai national and international fame especially the prints ‘The Great Wave’ and ‘Mount Fuji in Clear Weather’. 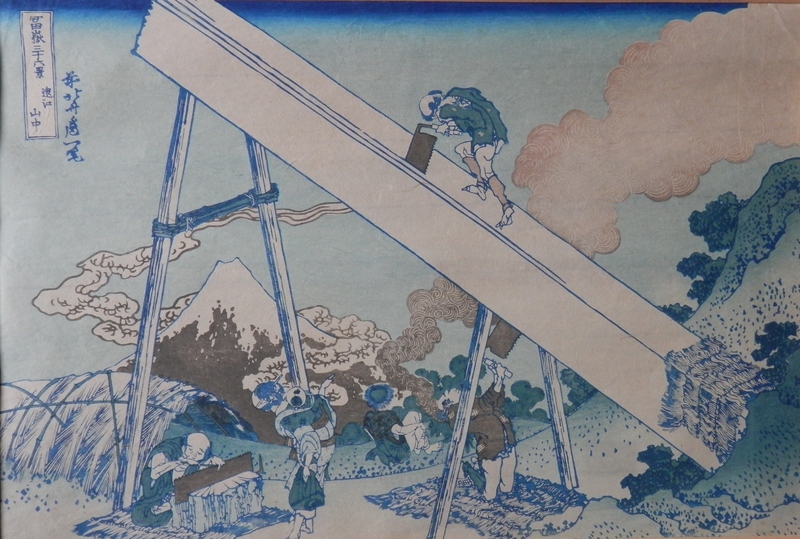 It is thought that Hokusai learned painting from his father – a mirror maker which included the decorating of the frame which held them. He was known by at least 30 different aliases – each one seeming to relate to a style change in his artistic output. At 14, he became an apprentice wood carver. At 18, he moved to work under an master ukiyo-e artist. Ukiyo-e wood block prints focused on images of the courtesans and Kabuki actors who were popular in Japan’s cities at the time. After fifteen years at the studio as well as two wives and five children , he was expelled from the studio for his exploration into other styles of art. His work became focused on landscapes and images of the daily life of Japanese people from a variety of social levels. This change of subject was a breakthrough in ukiyo-e and in Hokusai’s career. And to finish another pair of prints by unknown artists (at least to me). 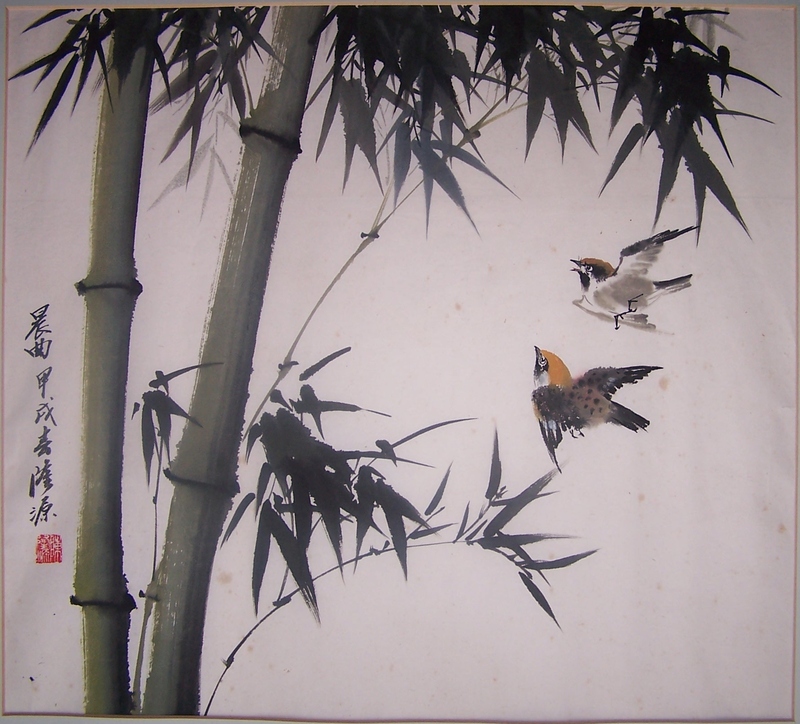 This entry was posted in Lino/woodcuts, Watercolour paintings and tagged bamboo, blossoms, lumber, Mount Fuji, saw, sparrows, Totomi. Bookmark the permalink.